MIELES is a European Commission funded project which collaborate Indian institutes with European Institutions. MEA Engineering College is the one and only Engineering College from Kerala with this collaboration. It is believed that this approach will be a concrete and innovative way of addressing the most pressing needs in the development of the Indian Higher Education sector at present, namely expanding access to higher education, and more specifically, exploiting the potential of the Indian Governments’ (and private sectors’) investments in digital infrastructure, internet access, and online courses. The project departs from the premise that all Indian higher education institutions need support to upscale their e-learning strategies and programs. The General Objective of MIELES is to modernise and enhance access to the Indian Higher education system by supporting the development of diverse institutional e-Learning strategies. Dr Nicolas Patrici from University of Barcelona, Spain visited MEA Engineering college regarding our foreign collaboration project ‘MIELES’ funded by European Commission. 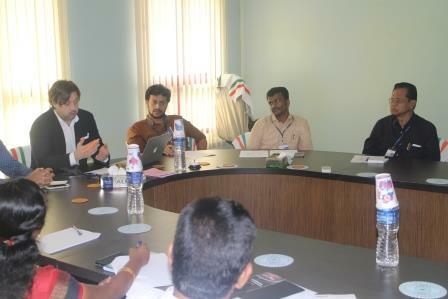 During this visit, Dr Nicolas interacted with college authorities and faculty members. A discussion regarding project implementation were organised and several academicians across the Kerala participated in the conference. Dr. Rajin M. Linus, Principal MEA inaugurated the gathering and Mr. Naseel Ibnu Azeez, MIELES Project coordinator presented a study on e-learning trends in Kerala. “MIELES conference held at Nicosia, Cyprus hosted by CARDET on 5th and 6th October 2017. During the conference MEA Engineering College put forward strategies of institution to implementing e-learning in institution and submitted the SWOT report for the project. The consortium decided to move forward with current collaborations to improve e-learning platforms in partner institutions. 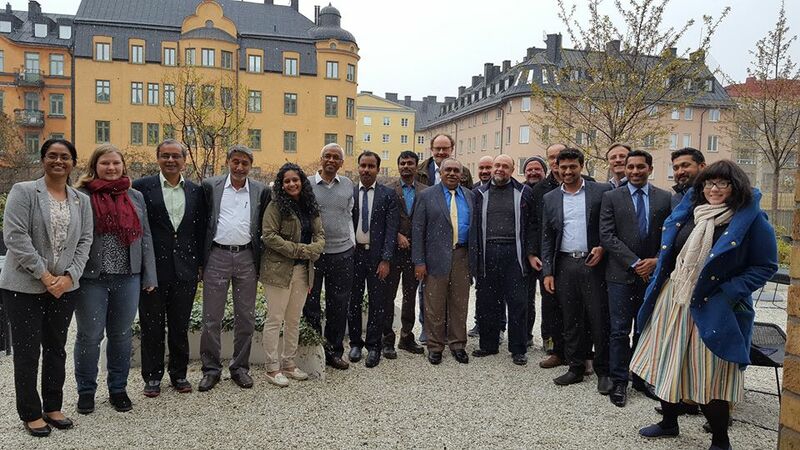 MIELES second conference has been held at Stockholm, Sweden hoted by KTH Royal Institute of Technology on May 8th and 9th 2017. 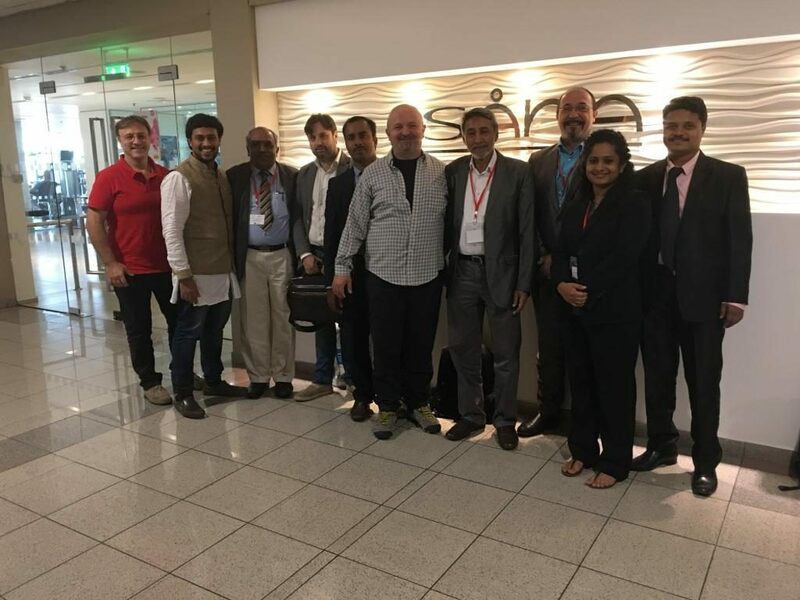 Dr. Rajin M. Linus, Principal MEA Engineering College and Mr. Naseel Ibnu Azeez, Assistant Professor,Mechanical Engineering, represented MEA on this meeting. The commencement of MIELES has been announced on November 14 2015 at University of Barcelona, Spain. Mr. Sreeram S. HOD, CSE and Mr. Naseel Ibnu Azeez M.P. Assistant Professor,ME were represented MEA Engineering College for this meeting. 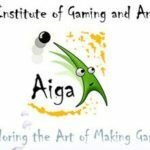 AIGA –Asian Institute of Gaming and Animation, Bangalore. European Association for Quality Assurance in Higher Education, ENQA, Brussles. European University Association (EUA), Brussles.